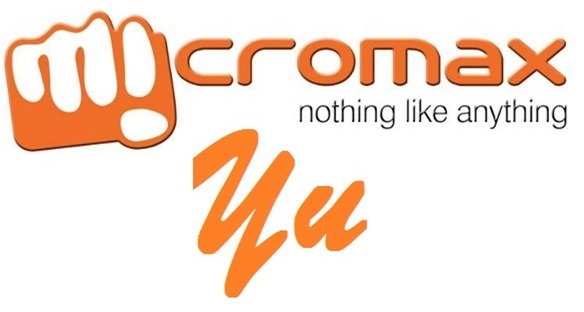 The second largest handset manufacturer in India, Micromax, announced its decision to launch a new smartphone brand Yu, which will be sold online ONLY – a take-off on the popular Chinese manufacturer Xiaomi’s business model. The new brand will target the rapidly growing segment of gadget lovers and tech enthusiasts in the country. The first Yu devices will be launched by the newly floated unit, Yu Televentures, owned wholly by Micromax in December 2014. The company has not yet divulged any more details about the proposed device, specifications and pricing. We might be able to know more about the first products in the pipeline from the Yu official website which is proposed to go live by the end of November 2014. All we know for now is that Yu phones will run on CyanogenMod. It is basically a modified version of Android and is known to deliver features that help improve performance, customization, security and privacy on Android based handheld devices. It has been installed on more than 12 million devices across the world. Micromax had been in talks with Cyanogen since last year, though the first indications about a Cyanogen powered Micromax phone surfaced only last month. “This will be a game changer not just in India but globally too. Yu has been envisioned for building an ecosystem of connected devices and offer customized experience to users. As YU is envisioned to build an ecosystem of connected devices and offer a differentiated user experience, we will engage directly with consumers,” Micromax co founder Rahul Sharma said. Sharma, when asked if he feared biting a chunk off Micromax pie by eating away its market share, brushed the unfounded fears off saying his product is aimed at techies and gadget lovers who want more from their phones. He also promised that the new flagship will offer the ‘best value of money in the world’. More smart products like smart bands, smart watches and smart shirts will be offered to online buyers in the country soon, told an upbeat Sharma. How YU will be different from other devices? Apart from being sold exclusively online like Xiaomi and Huawei Honor, Yu will honour warranty on rooted devices as well – a clear departure from the usual policy of offering warranty only on devices which have not been rooted. No smartphone manufacturer offers warranty on a rooted device. “We’re targeting all tech enthusiasts who will be able to bootstrap the device and play with it,” he said. ‘Bootstrapping’ refers to the process of rooting a smartphone. Users of the brand will be given bootlegger access to help them come up with software updates they would want on their phones. Besides the above, the brand plans to engage with the users directly and actively by giving them a forum where they can voice out their ideas, opinions, give their feedback and suggestions for further improvement. Softwares will be updated fortnightly. Micromax is already said to be in talks with leading online retailers in the country for chalking out the best marketing strategy. Counterpoint Technology Market Research, a leading research firm, had earlier pointed out Micromax share in the overall mobile market in India during Q3 2014 was 14.5% with Samsung (15.1%) sitting smug on the top. Its share of the smartphone market was put at 20.4%, not too bad compared with the market leader Samsung’s 25.1% share. Ever since Yu was announced yesterday, there have been comparisons with other brands which sell their products exclusively online. Not surprising because they are the first among the Indian manufacturers to think along these lines. What Micromax needs to keep in mind here is that Xiaomi has a much bigger market than Micromax. Xiaomi’s home market, China, is many times the size of Indian market. Not only is the internet penetration in china much higher, but more of their people are buying online as well. Only 12% of our own population has ever had some online buying experience, as compared to nearly half the Chinese counterparts being active online buyers. In such a scenario, it goes without saying that Yu’s sales will only be a fraction of what Xiaomi and later Huawei managed to get with their first product Honor. Will Yu be able to sustain itself with limited sales, or will Micromax pull out a rabbit out of their hat to make sure the ambitious project does not fizzle out? For now, all eyes are on YU!! store just msg me …..